The Reate Fallout 2.0 is a precise rendition of Rick Barrett's popular custom design. This model features a compound ground, recurve blade made from CTS-204P steel in a stonewashed finish. 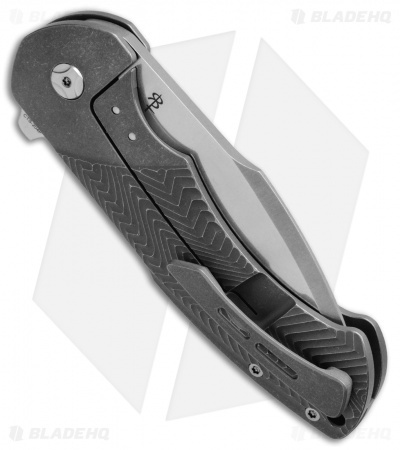 Its full titanium frame lock handle is milled with a raised texture that provides a solid grip during use. Blade deployment is a breeze thanks to a jimped flipper and a smooth caged bearing pivot. 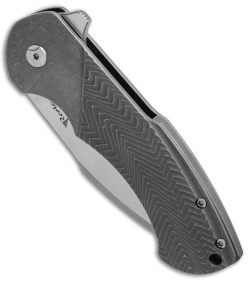 The knife is fitted with a secure titanium pocket clip for right side, tip-up carry. CTS-204P blade steel offers exceptional cutting performance. 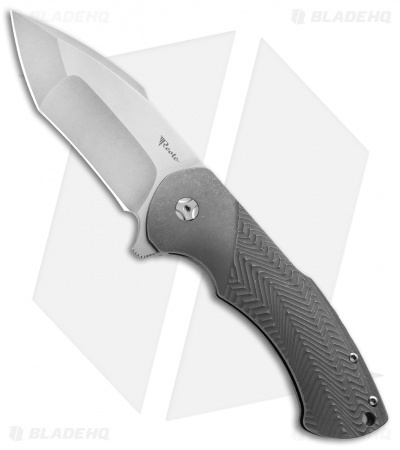 Full titanium frame lock handle provides a lightweight, durable build. Caged bearing pivot for smooth flipper deployment.